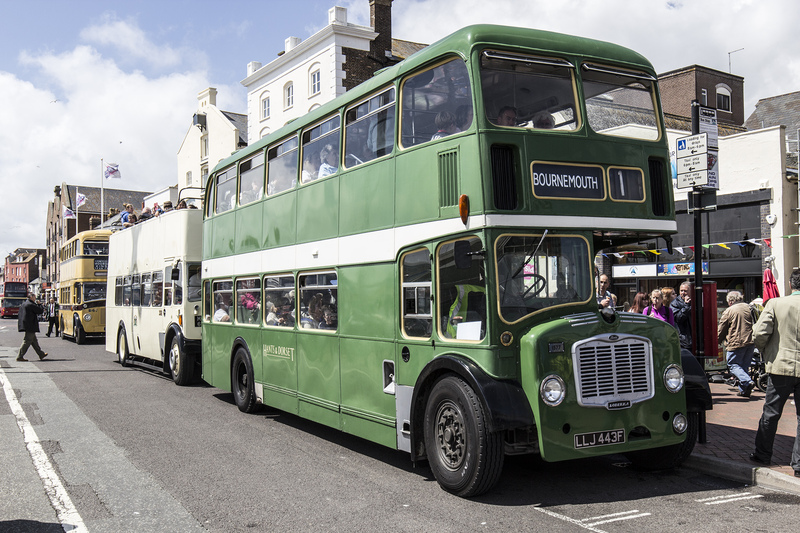 100 Years of Hants and Dorset Buses – Poole Celebration. Sunday 10 July saw the celebration of 100 years of Hants and Dorset buses. Once a familiar sight in the Bournemouth area, including Westbourne, the name has been replaced by the More Bus brand. Historic vehicles were gathered together on show on Poole Quayside. Many giving the public the opportunity for free rides around the Poole area. Familiar buses from the past were enjoyed by the large number of people who came along.It was not just Hants and Dorset buses that were represented. A 1950 Yellow Bus was also on show and giving rides. Two modern vehicles had also been repainted – one in the traditional Hants and Dorset livery, the other in Wilts and Dorset. YN06 JWX. Scania with East Lancs bodywork (H47/33F). Normally in the modern Wilts and Dorset livery, but currently sporting the traditional version. © expat.